10 units available Cummins KTA50G8 These gen sets will come with silencer, all panels boards, heat exchangers. Transformers are not included. 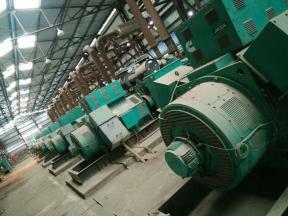 These are 1500 KVA, 50 hz, 1500 rpm, 6600 volts, mfg year is 2010, Running hours of all are less than 500.